Meghan Markle's estranged father Thomas Markle is continuing to defend his daughter amid a flurry of negative rumors about her while pleading again for her to speak with him. The 74-year-old former lighting director has continuous given press interviews since the Duchess of Sussex's wedding to Prince Harry, which he had missed due to illness. He has complained that the couple has not spoken to him since just after the nuptials and shunned him after he appeared in staged paparazzi photos before the event, even though he apologized for the stunt. He has also spoken out against the royal family in general, calling them "cult-like—like Scientology." 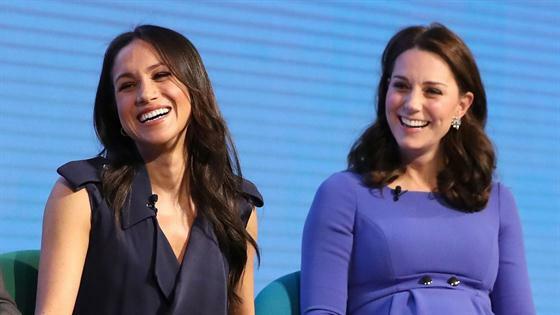 In a new interview with The Sun, published on Saturday, Thomas weighed in on recent rumors of a rift between Meghan and Kate Middleton, Duchess of Cambridge, and rumors that Meghan is allegedly a "difficult" boss. "If there is any animosity between Meghan and Kate, they should put their differences aside," Thomas told The Sun. "I'm very upset by the criticism Meghan is getting. I don't think she deserves it and I don't think she is doing one third of the things she is being accused of doing." In November, The Sun reported that Meghan left Kate "in tears over her demands for Princess Charlotte's bridesmaid dress after a "stressful" fitting. "I'm not buying that she made Kate cry," Thomas told the newspaper in the new interview. "First off, I think Kate is a stronger woman than that. I think Kate also knows she is in a stronger power position than Meghan is. Kate's the hero mother. I can't see her being that weak. No woman is who pops out a kid then walks out of hospital the same day. I don't think she's afraid of anyone." Kensington Palace did not comment on that report or most of the other negative stories about Meghan that have surfaced in recent months, but did issue a rare denial of another Sun report that claimed the women had an "explosive" argument, during which Kate allegedly told Meghan it was "unacceptable" for her to berate members of her team. Meanwhile, the two women put on a united front, along with Harry and his brother and Kate's husband Prince William, over Christmas. "I don't believe that Meghan is trying to hurt her in any shape or form," Thomas continued. "But at the moment I cannot call Meghan and say, 'What is going on? How can I help you?' I need to know what the hell is happening and why it is happening. I need to know why she is being bashed every day." Mail on Sunday quoted Thomas as saying last month, "The Meghan I know was always sweet, kind, generous. She was always demanding but never rude. I don't want to say or do anything to hurt my daughter but I worry she is going to hurt herself." In the interview, Thomas also revealed that he plans to write a book about his and Meghan's "good years" together. His older daughter and her half sister Samantha Markle, who has criticized her repeatedly on social media over her estrangement from their dad, is also planning to write a book about the duchess. In his interview with The Sun, Thomas also spoke out against Harry's alleged treatment of him. He has said before that the Duke of Sussex had told him to avoid the press and that he initially lied to the royal about the staged paparazzi photos. After they were released, he and Harry argued over the phone and Thomas then reportedly hung up on him. "I feel that he feels he is above everyone else and that he has a right to talk down to people," Thomas said. "And I cannot accept that. It feels like arrogance." For months, Thomas has used the press to reach out to Meghan. He expressed love for her and delight over her pregnancy with her and Harry's first child. He has also vowed to not remain silent amid the estrangement from his daughter. "If they ever want to speak to me, maybe I'll quieten down a little bit," he told The Sun. "But in the meantime I'm not going to become a monk in a monastery and take a vow of silence. The bottom line is that I've done nothing to deserve this kind of treatment." "The royals and Meghan can help end this nightmare by simply giving me a call," he said.